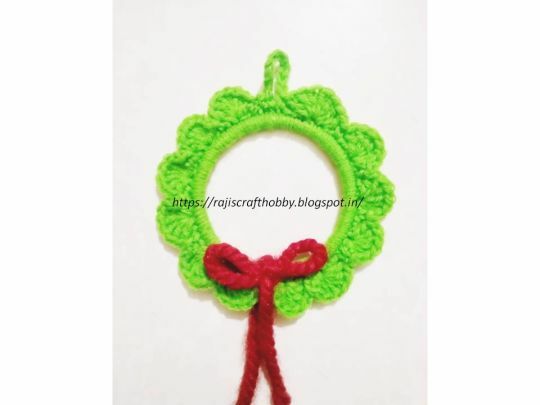 Wreaths are a beautiful decorative item that you can easily hang to celebrate a season or holiday.This crochet ornament pattern is the perfect little ornament for your Christmas tree.Decorate your tree with these cute little beautiful crochet ornament.These wreath ornaments are apt for beginners because you just crochet the same design in a circle until finished. You can whip up this crochet wreath ornament in a matter of minutes.You can also make these adorable ornaments as gifts for friends and family.Give it to loved ones or keep it for your own tree this season. Get creative and make these in different colors of your choice.Just add a cute little bow for a perfectly adorable finishing touch.